July 13, 2018 By John P.
I don’t know about you, but tools like Yelp, TripAdvisor and Google Maps help guide my decision constantly. Before we decide where to eat we turn to user generated content tools to get advice about places we’d like to try next. And since I rely heavily on the “collective”, I try to give back. 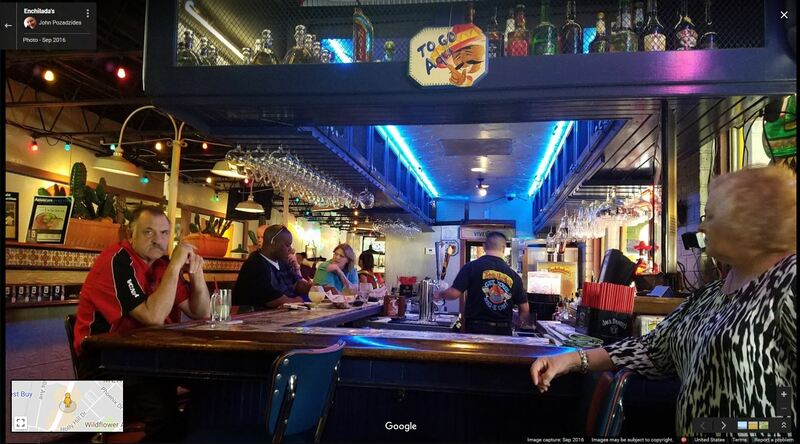 Let me back up a bit… if you don’t know what I’m talking about, Google Maps allows anyone to post reviews and photos of places, answer questions, make map revisions, and more. Doing so makes you a “local guide“. 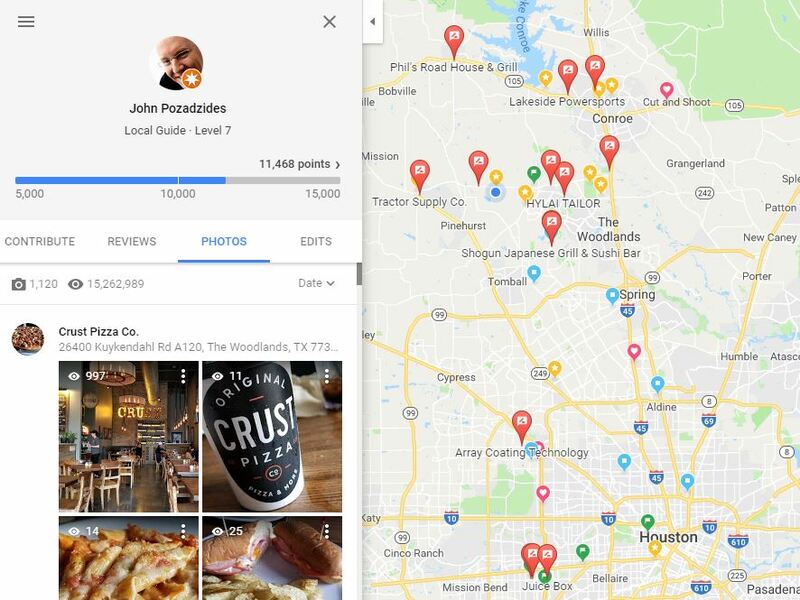 When you’re looking at any listing for a place in Google Maps, you’ll see an area where you can rate it using a 5-star system, and you’ll have the opportunity to upload photos of the place. These things are really helpful to others, so please participate! You can see all of your results by viewing “Your Contributions” from the Google Maps menu, in a Web browser or on mobile. As it specifically relates to this post, you can click on the Photos link and view the photos you’ve contributed along with very basic data on the number of views each has. You can sort by views or date uploaded. You can also view your general stats overview by selecting the scale that shows your points, or your name. What Constitutes a Popular Photo? Don’t try and guess what’s going to be a popular photo. You’ll never be right. My best photos haven’t turned out to be the most popular. You simply can’t predict that. 99% of my photos are taken with a camera phone. As long as you have a fairly modern phone, you’re good. Don’t think that breaking out your DSLR is going to make any difference in popularity. It doesn’t matter. Almost all of these popular photos are the “cover” photo for the location in question. I don’t know if an algorithm chooses them, or if the proprietor gets some influence… but if you upload one that takes the number one position the view count skyrockets. Let’s examine my top 10 photos as ranked solely by view count (as of 7/13/2018). This photo was taken when the restaurant was only a few weeks old. The space isn’t that large, but I stood in the corner and took a Panorama so you can see the entire area. To pull this off without have a lot of artifacts or motion blur you need to make sure everyone is pretty still in the area. People walking through will mess up a Panorama. Obviously, this is some sort of salad. To be clear, it’s not mine. I hate veggies! But when I go out to eat, I make everyone let me take a photo of their plate before they touch the food. 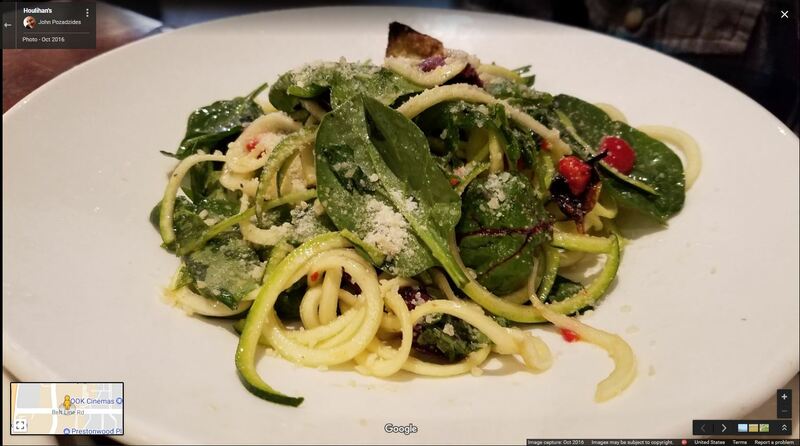 It only takes a second, but food photos really help some people decide whether they want to visit a restaurant. I try and take the photo from a natural angle, similar to what you would see if it was right in front of you. Top down shots from above don’t look as natural, so I would recommend avoiding those. It’s important to ensure nice consistent lighting. NEVER USE YOUR PHONE’S FLASH DIRECTLY! Food isn’t appealing in harsh light. 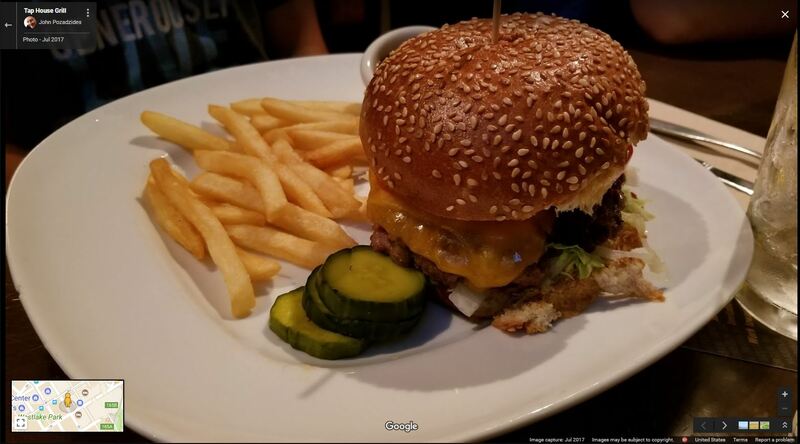 However, you can have someone else use their phone flashlight to illuminate the food from a distance while you take your photo! 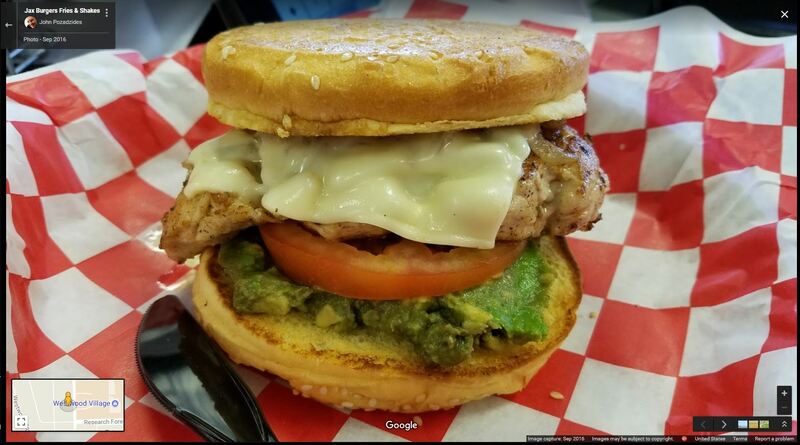 Funny that this chicken sandwich is actually upside down. (It was served that way.) But the key to the photo was ensuring that the entire subject was present in the frame, with a little extra whitespace around the edges. 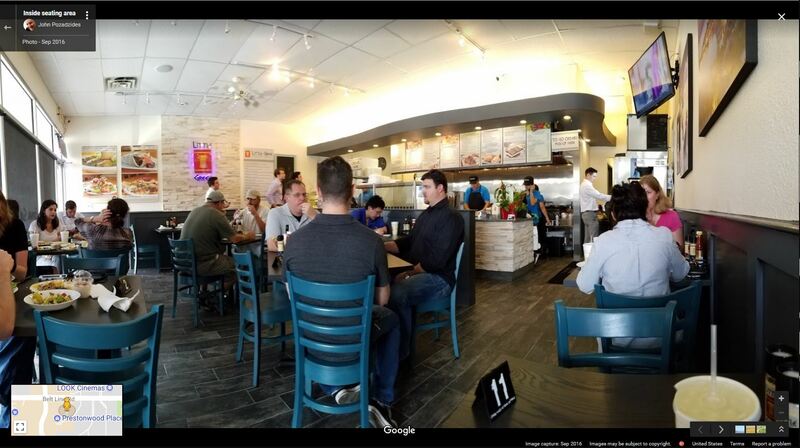 My guess is that most people will view Google Maps photos on a mobile device, so taking individual closeup photos of food items (or plates) will give the best view for those trying to see them on a small screen. Don’t think food shots are the only thing people want to see. 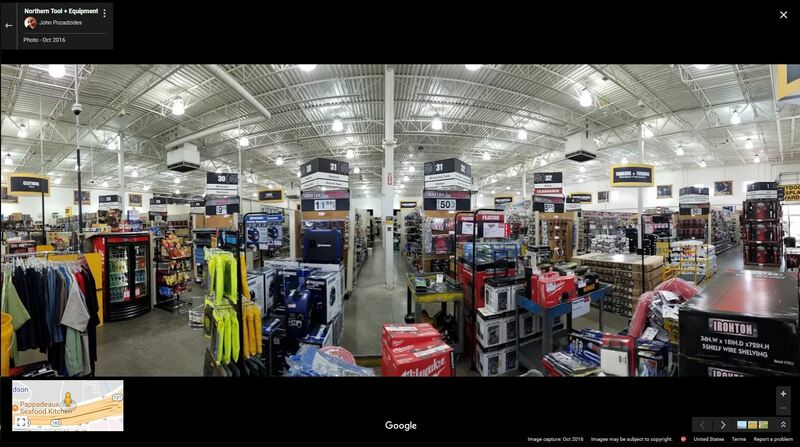 This is a panorama of a tool store. I’ve found that when I can center myself inside a store and take a pano with no people, the shots perform very well. Getting your panorama right takes practice. Use slow and steady movement. Start and stop at equidistant points from the center. Keep your swivel parallel to the horizon. Also, don’t take super wide panoramas. A good pano looks like a super-wide photo. Not a super, super, super wide photo. Oh man, is this a horrible photo. Look at the guy who scowled at me right as I was taking this photo. I shot this just as I entered the door, because I like to share a shot or two of the interior of restaurants to give people a feel for the ambiance. This shot proves you can’t predict what will end up being popular, but I think the one thing it has going for it is that there is a lot of visually interesting stuff going on. And it really does kind of capture the spirit of this establishment. I kept this shot close, and tightly framed on the plate. Lighting was decent – not great, but not harsh. Also, notice that I didn’t take the photo directly from the “front” of the plate, but instead at kind of a corner angle since this was a “square” plate. This provided a more visually interesting view. Although there were people in this restaurant, I managed to snap a photo that looked like I had the place all to myself. You’ll notice that four of my Top 10 photos here all look this way. And there are many other popular ones with the same feature – empty interior shots. Again, another interior shot with no people. 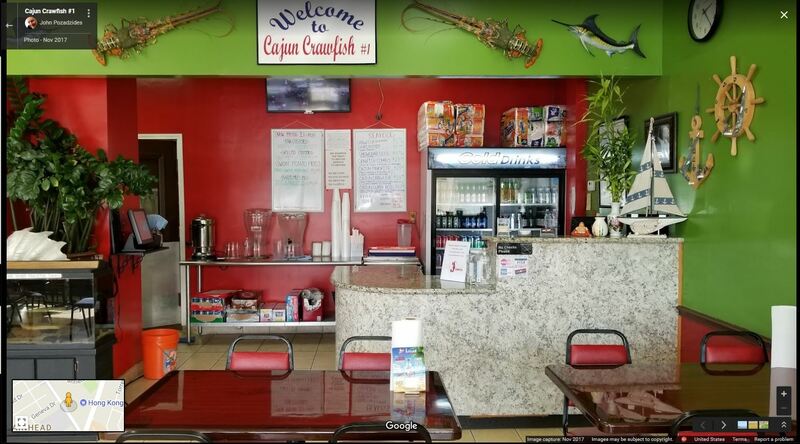 This particular photo is of the dining area in this restaurant, and that area is quite visually interesting with the vivid colors and textures. Keep in mind that each of the photos on this list was part of a number of photos I uploaded associated with that place. On average I share 6-8 photos. A restaurant might include 3-4 of the outside and inside, and 3-4 of the food. The one person here blends in and is hard to spot in the photo. So it fits with the theme of catching spaces without people. 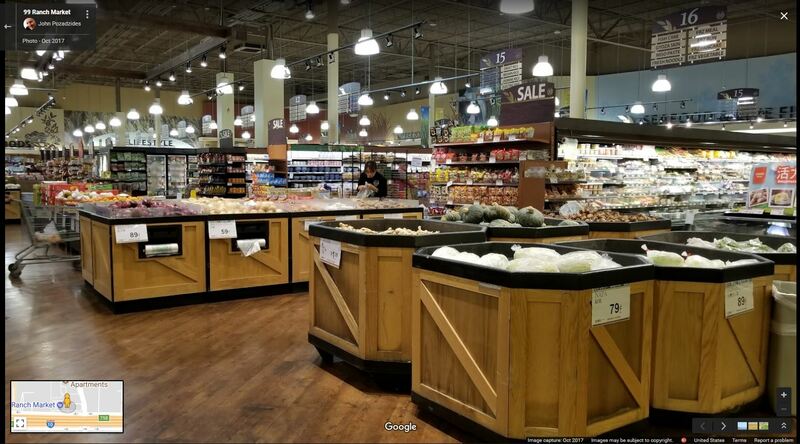 But what’s more important is that even though this isn’t a panorama, it gives a good sense of the scale of the store. That’s key when showing a place – to try and give a sense of scale. 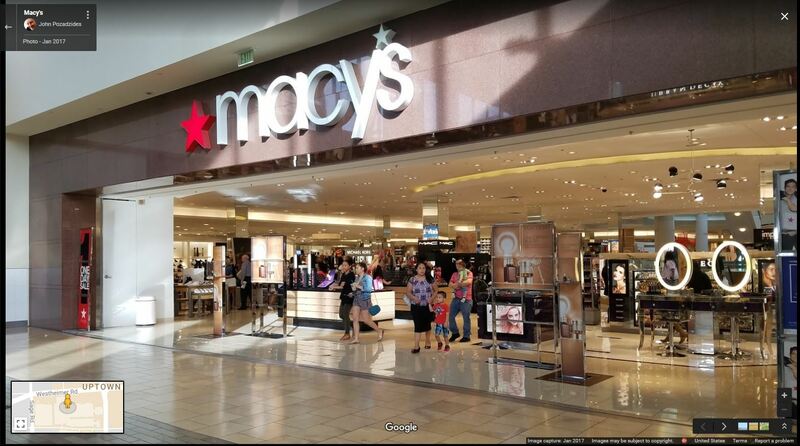 Who would have guessed that a simple photo of Macy’s department store in a mall would be the most viewed photo I’ve taken. This one photo, out of over 1,000, accounts for 5% of the total views. Why? The composition is interesting and the subject is clear. It gives a true representation of what to expect if you visit. There are a few people, but not cluttering up the space. Large retailers are frequently searched for (and this is the cover photo). But again, who would have guessed? I know many people are wondering, so I took most of these photos with either a Samsung Galaxy S7+ or S8+. But I could have been using any number of camera phones and would have had the same results. It’s not the camera. Interesting / attractive composition. Something about looking at the photo is just appealing. Decent lighting. Notice none of these are overly bright, or too dark. Sharp, well-focused images. Hold the camera still, and take your time. A clutter-free image. Spaces without people. Closeups with a single subject. And most importantly, don’t worry about your Local Guide Rank! People who upload tons and tons of photos to Google Maps for the sole purpose of getting points are missing the purpose of contributing. No one wants to scroll through tons of bad photos when evaluating a place on Maps. You’re actually doing the establishment and your fellow users a disservice. Instead, concentrate on sharing images that you think other people might actually find useful. Because after all, that’s what it’s all about. Go to Maps, select the three button (BigMac) menu, select Contributions, then select Photos. The second photo in this blog post shows where Contributions: Photos is. You can then organize the photos by Most Viewed to see the count. How did you find out which photos had the most number of views? Great post. I have noticed the following, more or less in line with your comments.i) Blue skies are important, clear blue skies end up much higher in the pic list than the same thing with cloudy skies, and ii) Expectations. If a picture does not match other pictures for the site, it gets pushed to the end. 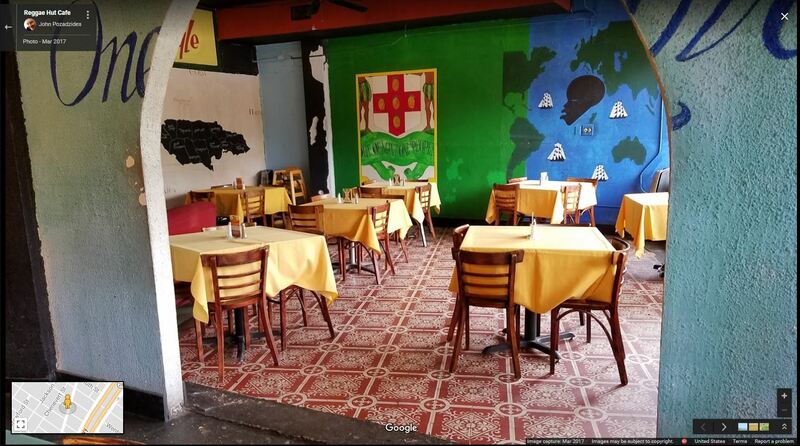 Some restaurants have really good and interesting art collections and these pictures get lots of views for the first day or two but then the algorithm pushes them to the end of the listing. It’s amazing to me the variety of stuff that people really like to see. I’ve got 177K+ views of a basic calzone. You bet! Money IS good. That’s why I’,m keeping mine. Hope you get some soon.